After a nine-year hiatus, "The Gilmore Girls" are back, but this time they have taken over the internet with Netflix's, "The Gilmore Girls: A Year in the Life." While the miniseries premiered on November 25, fans are still abuzz about those four words and whether or not there is more to come from Lorelai and Rory. Patterson: "Luke was just a guest star in the pilot, I wasn't a series regular. However, the pilot starts with Luke's diner and ends with Luke's diner so being the very smart person that I am, we figured something is up. My manager said if the chemistry is right it will turn into something more, and it did." Czuchry: "I auditioned for two characters before Logan and didn't get them, but I was a fan of the series because of that. Then, the idea for Logan came around and my first scene was for an episode called "Written in the Stars" where Rory and Logan are bantering back and forth about a professor. I call Rory the "Master in Commander," and just those words and the pace I knew the third time was the charm." Have Luke and Logan changed their ways? Patterson: "No, there is no growth for Luke, but that's what makes him appealing. He doesn't want to have a child, nor does he want a franchise. As fans, though, we take comfort in the fact that he won't change. Luke is like a rock out in the middle of the ocean. The waves can crash on top of him, but he is never going to change or bend, and that is what we love about him." Czuchry: "Logan has definitely matured and realizes working with his family is an amazing opportunity. Sometimes in life we have to let go and embrace the universe, we have to accept what's being given to us and for Logan it's a powerful thing to understand this. I think being with Odette represents his family and feeling entrenched in family obligations, even though Rory represents his true heart. Patterson: "It feels like I am a part of something very large, and I am very happy for the fans. You know that is why we are doing this. Those fans just wouldn't let up!" 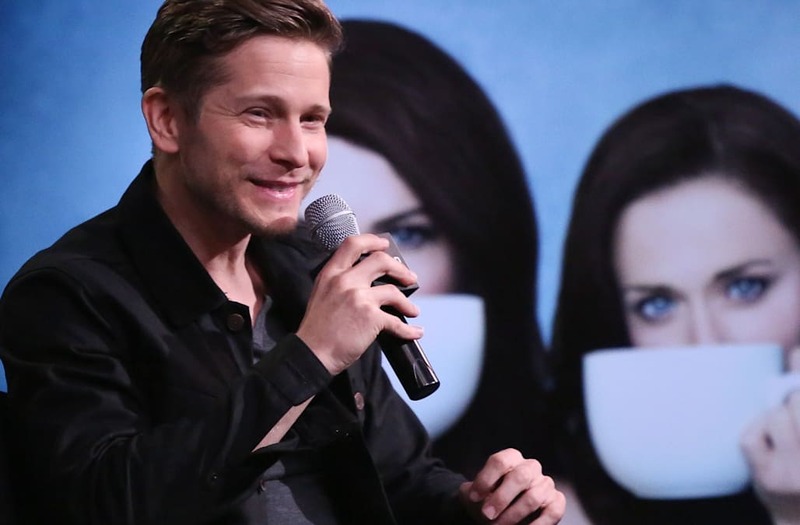 Czuchry: " 'Gilmore Girls' has an unbelievable fan base. Since the show, I get recognized on the street and for me to get recognized like that and have these experiences, it's something I had never felt before." How did you feel when the show was cancelled? Patterson: "I wasn't surprised when the show was cancelled. I thought that some of the characters were, artistically speaking, "bankrupt" and they needed to move on with their lives pursuing other options." Czuchry: "As an actor, I had to put it away and make peace with it. We have to move forward to future jobs and there is definitely a challenge to that. But, I feel like the ending captured Rory's independence and I think that that is definitely important." What was special for you about acting in "The Gilmore Girls?" Patterson: "Acting in "The Gilmore Girls" is kind of like memorizing Shakespeare. There are a lot of words, and speeches, but there is an emotional logic to Luke's dialogue. With this revival, you know it's Netflix, so it was 600 pages of material, 4 scripts, 150 pages each with no commercials. So, in effect we were making films, very wordy films. Although, even our TV scripts were 80 pages, and normal hour TV script are usually about 55-60 pages." Czuchry: ""Gilmore Girls" was like a training ground for me. As an actor there are certain marks you have to hit, and especially at the beginning I always I would always end up shadowing Alexis' face." Patterson: "I knew the kitchen scene in the "Fall" episode could be important. The writing was so so good, and I didn't take a lot of direction, I didn't need it. This was the ultimate moment for Luke and Lorelai; we were getting completely naked, so to speak." Czuchry: "I think it was a mutual goodbye. When Logan offers a key to his house, to write a book he is essentially handing Rory the keys to her future. Regardless of what you feel about Logan, he was always trying to make her take risks and experience life to the fullest to make her a full person both personally and professionally. Actually, the goodbye sequence was taken from "The Wizard of Oz," and I kind of see Logan as that wizard creating a magical experience for Rory." Patterson: "I had submitted a list of four words to Amy and Dan (the show's creators), and at the very top of the list was "Drop the gun, Kirk." But, yes I was surprised, it is the logical way to go that's just life leading the way...."
Czuchry: "They did tell me the answer to the last four words, but I will leave it to them to reveal because it is their story. I do think that the purpose of those four words is to fast forward and think about what kind of mother Rory would be, or to see Lorelai as a grandmother, who would the father be and would that person be different or a mirror to Christopher. Those four words can be whatever you want them to be, but I really think they are Amy and Dan's last four words. "